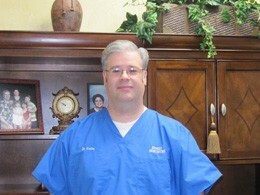 Dr. Quint Whitefield has been practicing dentistry in Ponca City since 1991. 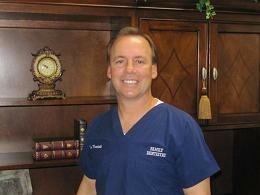 Dr. Whitefield is a graduate of the University of Oklahoma College of Dentistry. He is a member of the Oklahoma Dental Association, the American Dental Association, the Academy of General Dentistry, and the American Orthodontic Society. As a professional, Dr. Whitefield believes in giving his patients the best dental care available. He has had extensive training at the Las Vegas Institute for cosmetic dentistry. He is always striving to have the latest techniques available for his patients. In his free time, Dr. Whitefield enjoys spending time with his family. He loves fishing, hunting and wake boarding with his kids. Dr. Bryan S. Fields graduated from Ponca City High School in 1987 and then went on to the University of Oklahoma College of Dentistry where he graduated in 1998. Dr. Fields has been practicing in the Ponca City area for the last 15 years. He is a member of the Oklahoma Dental Association, the American Dental Association and the Academy of General Dentistry. He has extensive training from the Dawson Academy in occlusion and comprehensive dental care. Dr. Fields' hobbies involve computers and guitars. He has been happily married to Barbara since 1993. They share three wonderful children, Thomas, Katie, and Betsy.